In the late 1800’s among those that immigrated to America were a group from Norway and Sweden that settled in Burleigh County in a community then called Slaughter. The families built homes and a schoolhouse and met for worship at one of these places. After much prayer on the subject, the families made the decision to form and build a church. In February 1893, the group of charter members and Rev. 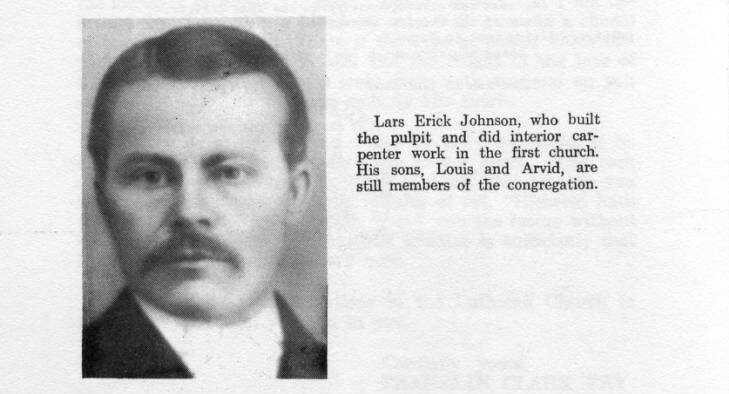 Magnus Spangberg, sent from the Minnesota conference to work among the Lutheran immigrants, organized the Swedish Evangelical Lutheran Congregation. 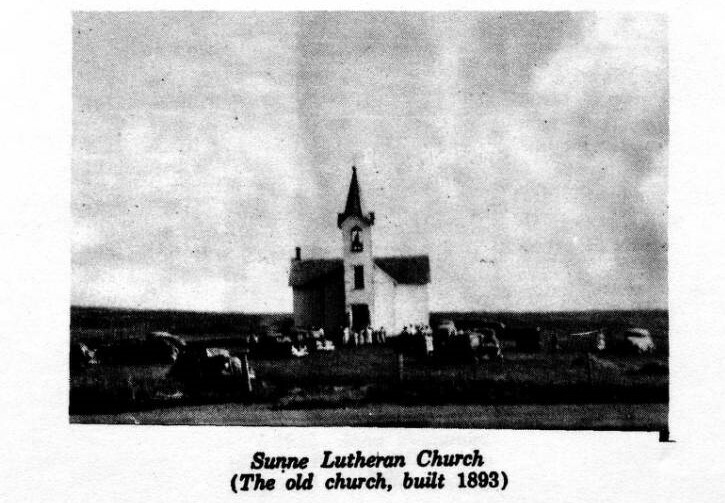 Many of those in the group that settled in Burleigh county were from the town of Sunne in the county of Varmland, Sweden and so the name Sunne was chosen for the church. The cemetery for the church, following an epidemic of scarlet fever, was established on the location before the church was constructed. 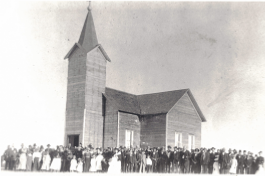 Worship did not take place inside the church until the summer of 1894. The original building served as the place of worship until 1948. In that year, and the few prior, discussions for building a basement to the church occurred. The contractors consulted informed the church that the structure could not withstand a remodel. The decision was made to raze the existing building and begin anew. 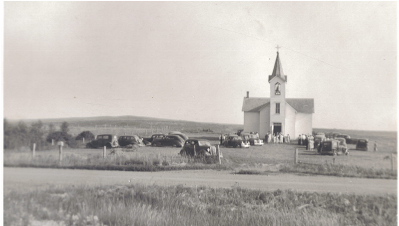 The new church was dedicated on September 25, 1949 though it had been used prior to the dedication. 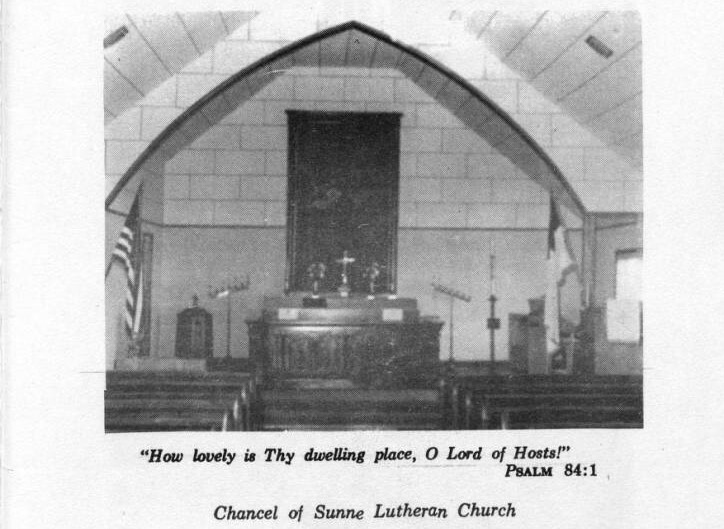 This building continues to house worship at Sunne.